In examining the manifestation of racism(s) against immigrants in the post-1994 South Africa, one sees a transmogrification of pre-1994 racism, which characterised black and white relations, into the post-1994 period that defines relationships between black African immigrants and black South Africans. These reflect the nature of South African social formation. 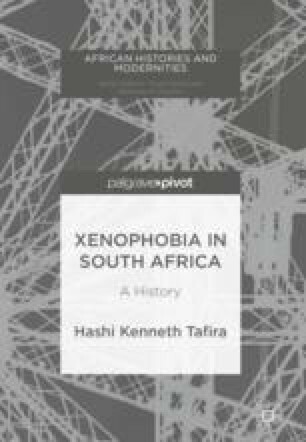 Cultural semiotics of signification in Alexandra, representation and negotiation of difference through space, time and social distance is explained by the fact that although immigrants and South Africans live in the same space, their social distance is nonetheless further than near. It is a synthesis of both remoteness and nearness.